It’s the third-annual High-Adventure Week here on Bryan on Scouting. 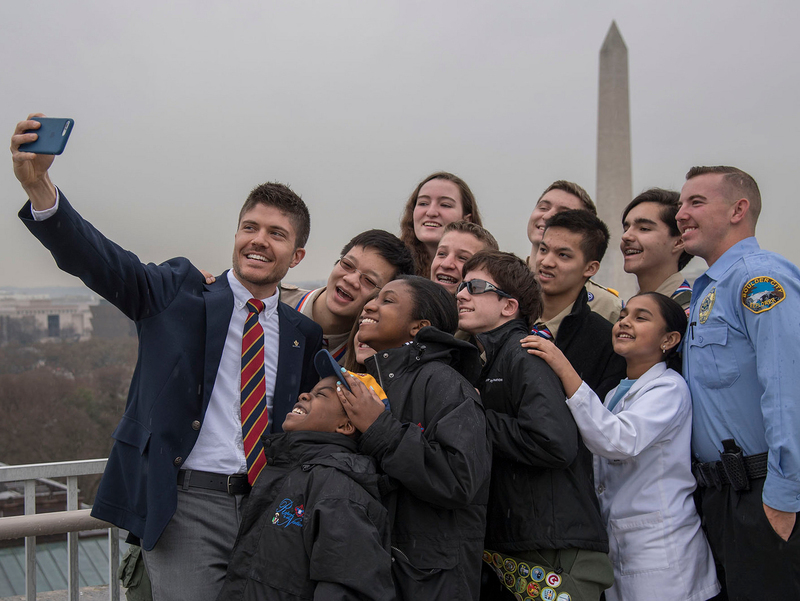 It’s time to celebrate the once-in-a-lifetime experiences offered at the BSA’s four national high-adventure bases — and give you tips on how to secure your spot in 2017, 2018 and beyond. If you think paddling around the gorgeous lakes of Minnesota and Canada is your kind of adventure, you aren’t alone. Thousands of Scouts and Venturers head north each summer to experience one of the paddling treks at the Northern Tier National High Adventure Bases. So many, in fact, that Northern Tier set attendance records in 2016. Simply put, Northern Tier has more demand than it does availability, so slots are allocated using an online lottery. Summer 2017 is almost full, and summer 2018 registration will open soon. New in 2018: Lightweight Kevlar canoes will be standard on all treks. The 2018 Northern Tier registration lottery opens at 9 a.m. CT on Jan. 3, 2017. It closes at 11:59 p.m. on Jan. 9, 2017. Click here to enter or learn more. The lottery is your best chance to secure a reservation for summer 2018 treks or 2017-18 Okpik adventures. Those who miss the lottery window can make reservations on a first-come, first-served basis beginning Feb. 1, 2017. It’s a magical canoeing retreat spread among three Northern Tier bases: Ely, Minn.; Atikokan, Ontario; and Bissett, Manitoba. Northern Tier is canoe country. Scouts and Venturers who enter Northern Tier’s wilderness each summer get to explore a vast series of navigable lakes and rivers. During the 6- to 11-night journey of 50 to 150 miles, crews follow in the footsteps and paddle tracks of 1800s French-Canadian voyagers. In the winter, Northern Tier hosts Okpik, where Scouts experience a true Northwoods winter. They learn how to thrive in subzero temperatures, travel across frozen wilderness lakes and construct their own sleeping structures out of snow. What’s new at Northern Tier? In 2018, the base will begin using lightweight Kevlar canoes on all its treks. Still want to use aluminum canoes? That will continue to be an option, and crews who use the older canoes can receive a discount for doing so. The new Lodge Interpretive Center opened in 2016 with a full history of Canoe Country and Northern Tier. Northern Tier worked with select councils in 2016 to provide wilderness adventures to youth in underserved communities. The program will continue to grow in 2017, so contact Northern Tier or your local council for details. 2017: The lottery for 2017 spots occurred in January 2016. However, some spaces are still available. Go here to see availability and details. 2018: The 2018 Northern Tier registration lottery opens at 9 a.m. CT on Jan. 3, 2017. It closes at 11:59 p.m. on Jan. 9, 2017. Click here to enter or learn more. Staff positions are still available for 2017. There are even partial-season positions for those wishing to also attend the 2017 National Jamboree. Learn more here. Northern Tier is the BSA’s Cold Weather Camping Development Center, offering a great opportunity to learn from the experts and take winter camping back to your council. Learn more here. Northern Tier makes special accommodations for Scouts with special needs. The bases have specialized equipment to serve Scouts with physical disabilities. Contact Northern Tier for more info. Noise pollution? Not here. No motorized machinery is allowed in the Boundary Waters Canoe Area Wilderness and Quetico Provincial Park. There are no set itineraries at Northern Tier. Participants work with a staff member to plan a route through the wilderness that works for their abilities and interests. Northern Tier participants gain access to 4.5 million acres of wilderness. That’s about the size of New Jersey. Northern Tier is open year round. Alumni, conferences and troops especially enjoy visiting in September and October to take advantage of fewer people, nice weather, fewer bugs and the beautiful autumn foliage. In 2015, Boy Scouts successfully camped overnight in minus-36-degree temperatures with a wind chill in the minus-50s! No Scouts were harmed in the setting of this record; in fact, they had a great time! Visit the Northern Tier website or call 218-365-4811. Thanks to Leslie Thibodeaux at Northern Tier for the info. Photos by W. Garth Dowling, Brian Payne and Beth Wald.